This Curtiss P-40F Warhawk was one of the aircraft transferred from US forces to the Free French GC II/5 Lafayette in 1943. American markings could still be seen beneath the new colours. France was one of the first customers of the P-40, placing an order of 100 Hawk 81A-1, later increased to 230 aircraft. However, these aircraft were not delivered before France fell in June 1940 and these aircraft never entered French service. The transfer ceremony during which GC II/5 received P-40Fs from US forces. 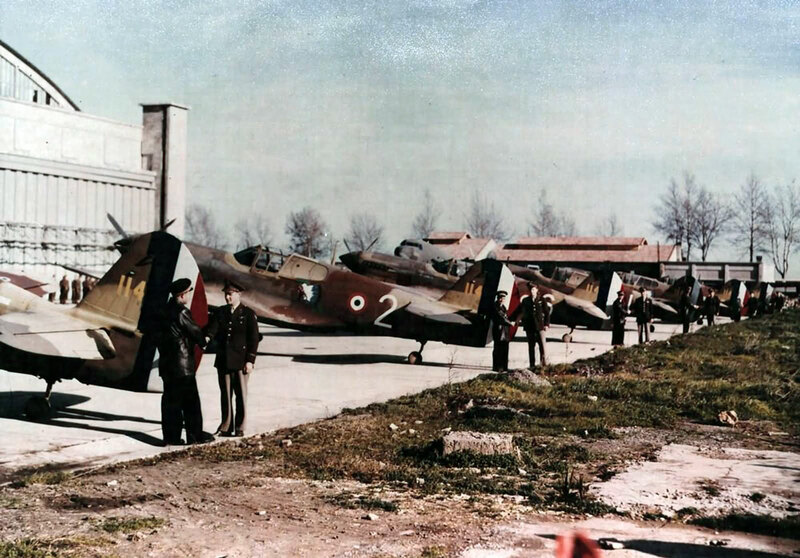 After the invasion of North Africa in late 1942, the groupe de Chasse II/5, a Free French fighter unit, was equipped with P-40Fs transferred from American units. These were later replaced by P-47D Thunderbolts but the P-40 remained as a trainer in French service for some time after the war. This Curtiss P-40F Warhawk (s/n 41-13901) was an ex-RAF Kittyhawk Mk II (serial FL294), operated by the Centre d’Instructions à la Chasse based in Meknès, French Morocco.